The INTERNATIONAL SELECTION by Fashion Vibes Milano is a highly curated showcase of 4 talented designers FREKAN (NY) and ONELA JONI (South Africa) — curated by the Find Your ID NYC — RASENA (Russia), FVCINA Luxury (Italy). FASHION, probably, is the most international industry, and our selection once more proves it. It is a special pick where you feel and see the cultural heritage of each designer. For accreditation, please, follow the link or send an email. FD Paris Fashion Show is an event showcasing the original Art Work of Indonesian Aspiring Designers, which is held twice a year during Paris Fashion Week. The selected Designers have been carefully selected by a panel of judges based on multiple criteria such as the uniqueness of their designs, the brands’ authenticity and the quality of the garments. This year show will be organised in collaboration with BMA Agency that has been fill to the brim with experiences with European Brands and Labels. This will Irving Vorster’s debut in Paris. He is active with his asymmetrical IRVINX couture brand since 2004. His latest couture/pret-a-porter show was a year ago in Amsterdam, at the Dutch Design Hotel. DISCOVER SS 19 at an exclusive new-concept exhibition that will take you through the process of creation of the collection, giving you the opportunity to feel the collection, touch the collection, hear the collection, see the collection and wear the collection. Special OMNIFICATION cocktails will be served with light snacks. 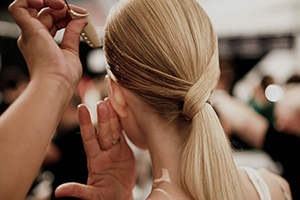 A 2-day workshop designed by New York make-up artists for Paris Fashion Week! In tandem with Paris Fashion Week 2018, this special workshop offers an applied expedition into the history of makeup. The workshop spans from the Jazz Age to the Golden Age of Hollywood, outlining the socio-economic changes that produced major makeup trends from the 1920s to the 1950s. At the same time, our instructors demonstrate how to create historically accurate makeup styles with the right products, colors, and placements, explaining the necessary references for recreating the style of each period. Whether you are a makeup artist, makeup lover, or stylish history buff, this class has something for everyone. The Paris Institute for Critical Thinking (PICT) is an educational organization founded in 2018 and based in Paris, France. The Institute is devoted to scholarly teaching and research in the English language. Our main aim is to offer university-quality courses in the humanities and social sciences to participants outside the university. PICT is a non-profit institution (Loi 1901). All funds raised through the event are devoted to instructor compensation and the running costs of the institute. Location: Please check our website for updates!